Boy, 2015 was a fun year! I had so much fun and so many great opportunities came my way. After years of hoping to, I finally made my podcasting debut and landed a cohosting gig on Dead Air Horror And Genre Podcast as well as the Terror Twins Podcast with Stacy Still of StayStillReviews, as well as appearances on Nerd Lunch, UnderScoopFire(a record 4 times! ), Recurrent Events, as well as a "lost show" with Eddie Spuhgetti and Stacy Still. A great time had by all! Then there's the multiple conventions, screeners, interviews, and so much else that came my way. If 2015 was any indication, I'm gonna have a lot to look forward to in 2016. Well this goes without saying. I'll make it short. I know these three movies are being torn apart by the internet(hey, who knew these people had a time machine and already saw the movies?) but I'm really looking forward to them. Ghostbusters 3 features a great cast. I'm a HUGE fan of Melissa McCarthy and the ladies of SNL. 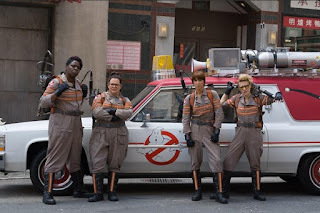 Paul Feig's movies always make me laugh. Especially Bridesmaids. So as far as I'm concerned, it's a done deal for me. 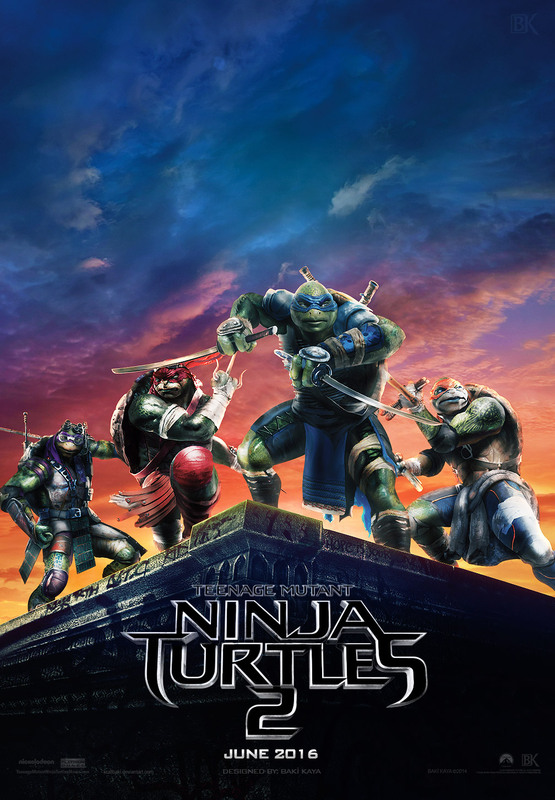 TMNT 2. Now, I wasn't a fan of the first Michael Bay movie. I think it's probably because I wasn't the audience tey were going for. That said, there were a LOT of things that I did like about the movie. It was a good starting point, but it looks they're going for all audiences in this one. Casey Jones? 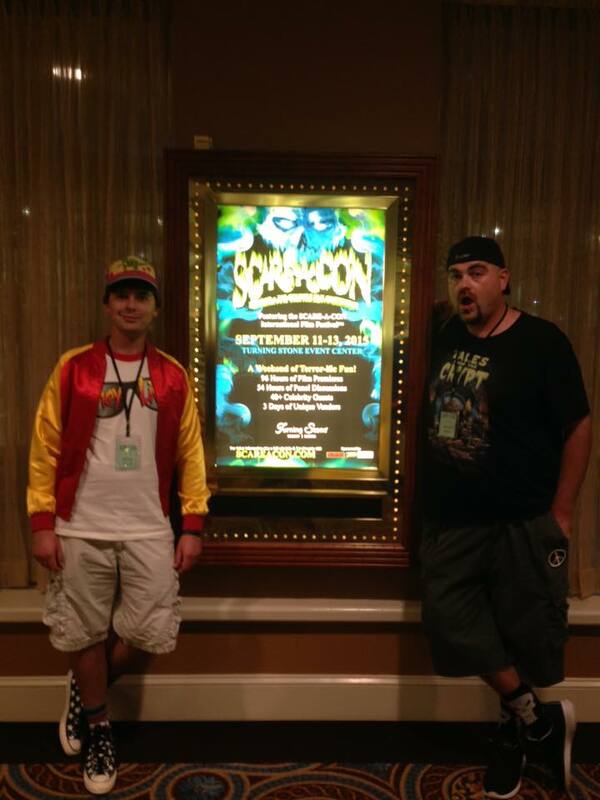 Bebop and Rocksteady? Baxter Stockman? Oh yeah. I'm set. 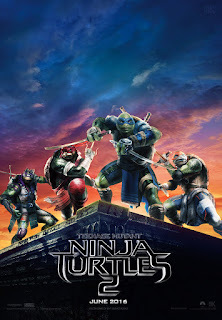 Now this one is the movie I'm looking forward to the most. 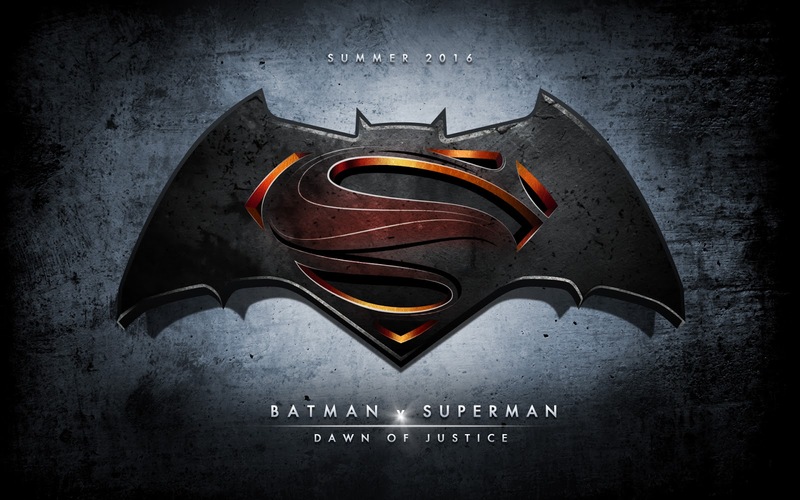 I'm fully aware people hated Man of Steel, and there were some issues I had with it as well, but this will most likely be a different movie. Having Batman and Wonder Woman in it will almost guarantee my approival. Not to mention, I've been waiting for a Justice League movie since I was a youngster, so to get it before I left this planet? Oh my! Bring it on! Toyfair 2016 is only a month and a half away and with that, I'm sure will be plenty of Funkos, WWE, Batman, and horror toys! Since my early teens, I've always looked forward to this time of year with expectations high. Through Wizard and Toyfare, I was able to live vicariously through the editors and journalists while essentially making a checklist just from the pages of the magazine. Now? Well, photos hit the day OF THE SHOW, so I don't have to wait a month to play "birthday and Christmas wish list". I don't think there's been a year gone by where there's at least 15 things I want. This year will be absolutely no different. 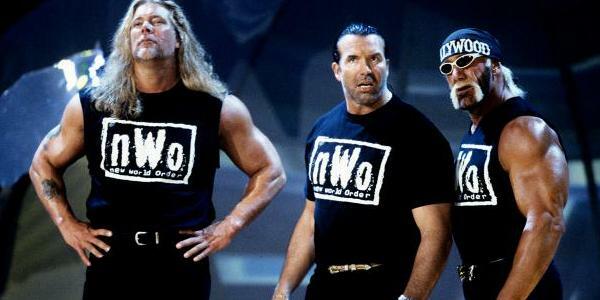 nWo was formed in 1996, when I was in middle school. At that point wrestling was looked down upon and mocked. Both WCW and WWF were still doing Saturday Morning cartoon-like gimmicks and goofy storylines. It looked no different than 1986. But once Scott Hall and Kevin Nash jumped from WWF to WCW in spring of 96, things changed. They began an invasion of WCW that even I as a 13 year old kayfabe loving mark believed to be real. But once Hulk Hogan joined them as the villainous Hollywood Hogan? Forget it. It was all over. They formed a troupe of rebellious, anti authority outsiders hellbent on taking what they wanted no matter what, by any means necessary. It was a vast change from the happy babyface characters we had all three portray and boy did it resonate with me. Three tough guys making their own rules? Yup. I'm down for this. Since 1996, I have never gone without an nWo shirt in my closet and nWo memorabilia in my room. I still drink out of an nWo mug, have a pair of nWo branded sweatpants, when I podcast I'm flocked by nWo figures and autographs in my office and when I head to the gym, I'm wearing my old nWo shirt. I can't say enough about the nWo. To me, it's what the 4 Horsemen is to NWA Loyalists. And I have to imagine we're gonna see some sort of celebration. Maybe a new three pack of action figures? Maybe an epiosde of Monday Night Raw? Who knows! But I know I'm looking forward to it! Batman 1966 and nWo were two things that molded me at a young age. Adam West was my introduction to Batman and for that I'm forever in debt. Not to mention, to this day I'm still in love with Yvonne Craig, who left us this past year, but she was my first true love. The show itself was a great link for my late father and I to share and gave us something to watch every afternoon. Eventually it got to the point that I'd discover more of the Batman mythology and overtook my life. So to know it's celebrating it's 50th anniversary, and remaining as popular as ever, is something very exciting. I'm sure there will be plenty to look forward to when it comes to this iconic tv show. And as a bonus, here's my favorite photo of Yvonne Craig. Why? Because I said so. 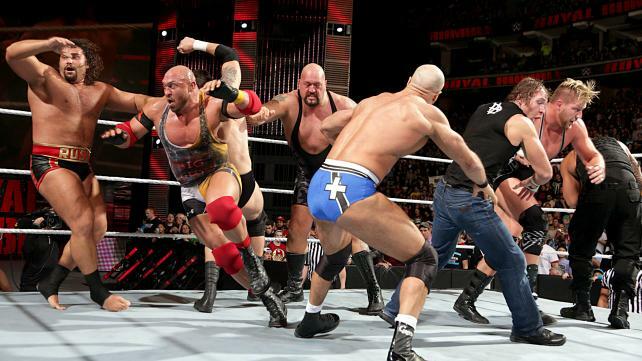 You can't truly kick off the new year without a Royal Rumble. Slowly overtaking the Survivor Series in terms of becoming my favorite event of the year. While the original concept of Survivor Series has faded out, Royal Rumble has maintained it's importance. Whether it's building a story for Wrestlemania, comedic moments, or returning stars of the past, there's always something to remember! Even if the last few years have had not featured the best endings, there's always been something talk about later that week and throughout the year. Who could come back? Who could win? The anticipation is KILLING ME! 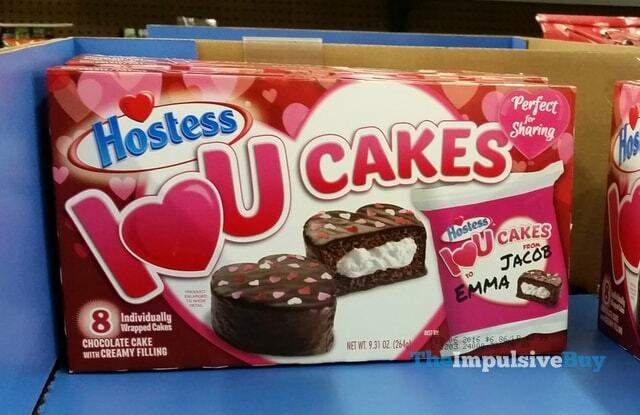 Last year, Hostess rolled a record number of variations for each holiday. Candy Corn, Pumpkin Spice, Peppermint, anything they could inject into those delicious cakes, they took a chance. It was really awesome. I'm really glad they're doing this. I had a lot of worries that they wouldn't after they returned from their brief demise. But lo and behold, they did! This year looks even better with the introduction of a totally NEW cake! The I Love You Cakes! Sure, they look to be DingDongs in the form of hearts with sprinkles but it's still a new cake in my eyes and something to look forward to. I'm hoping this also leads to new cakes in following seasons as well! As of press time, Monster Mania in March is a lock. Heading down to promote Dead Air Podcast with Jeff Konopka and Jesse Bartel is the main plan. But don't forget I'm bringing my best friend Andrew who joined last year. And you just don't know what to expect when we're in town! There's a lot of great convention lineups throughout the year. Texas Frightmare in May, Chiller Theatre will no doubt have an amazing lineup, HorrorHound, New York Comic Con, Toronto Fan Expo, Mad Monster Party, Niagara Falls Comic Con, Scareacon will also be amazing as well. If there's a convention near you, check it out! The best 35mm film festival ever! 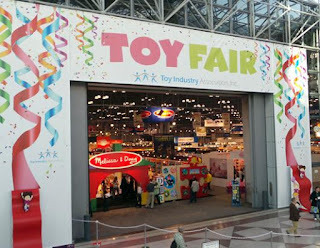 See you in April! And don't forget to check out our buddies at VHSPS who will be slinging their amazing titles! Last year was a monumental event. I gotta say, it was a big risk but it was totally worth it. Driving an hour and a half out of my way to rustle through strangers junk? Yes. I'm down. As a flea marketing madman and self professed "Best In The World", I'm always down for the challenge. Sure, lots of eBay fodder, but lots of good pieces for my collection as well! I'm assuming this will take place in July like last year, but no matter when, I'm gonna be there! Like I said, I'm a very optimistic person so no matter what I'm sure there will be plenty of adventures. I certainly hope you'll stick around for the ride! Kenner Spotlight: Hooray For The Police Academy! A Look At Hello Mary Lou Prom Night 2 VHS Art!